So we decided to take a break from the norm and visit Bowman’s Beach Saturday morning. Bowman is one we used to frequent quite a bit in the past, but Blind Pass kinda took over. As you can see though, the view was amazing. We arrived early to find only a handful of fellow beachers. We set up our camp, and as usual I made it down to the water line to check out the water temp and clarity. Water was a bit chilly but clear. I looked down only seconds after stepping into the water and discovered a nice Florida cone. I was thinking that was a good sign. Problem was, the water was filled (and I mean filled) with hundreds upon hundreds of comb jellies. 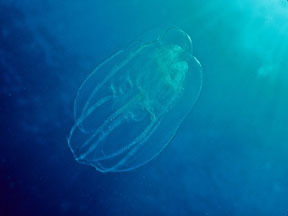 Now, I know they’re not the stinging kind of jelly, but there’s just something about the feel of a jelly-like thing bouncing off of my arms and head that kinda makes me uncomfortable. Once I told the Shell Queen about the jellies, she decided to forgo snorkeling altogether and dig through the shell piles. It didn’t stop several tourists, who were catching them with their hands. None of that for me, pal! But I bit the jelly bullet and dove in for a closer inspection of the sea floor. 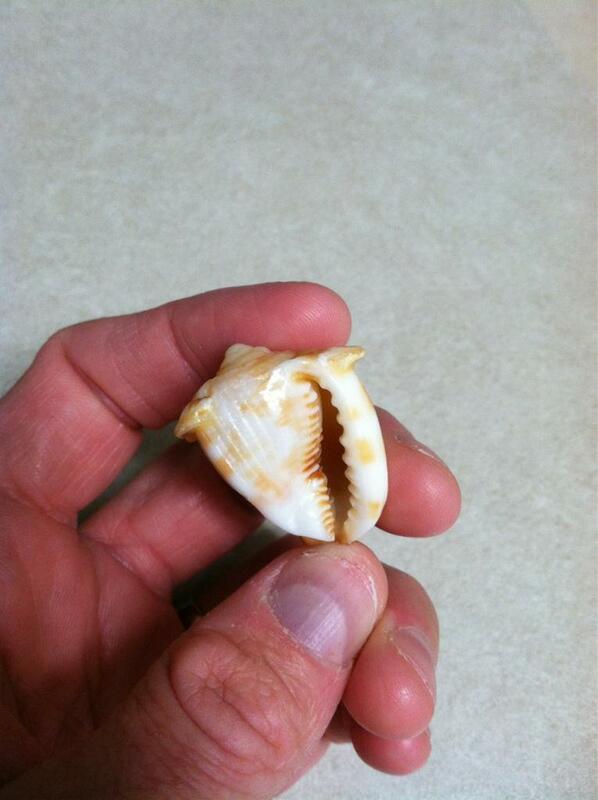 There weren’t too many outstanding shells in the water at Bowman. I found a few here and there, including a pretty nice Alphabet Cone that believe it or not, was underneath a pen shell that was laying in the sand a few yards out (There’s a little tip from the Shell King – wink wink – you’ll find some good shells now and then by simply looking under those pen shells). I also found a very cool Rough Scallop with a long, intact foot (Along with the Alphabet Cone). 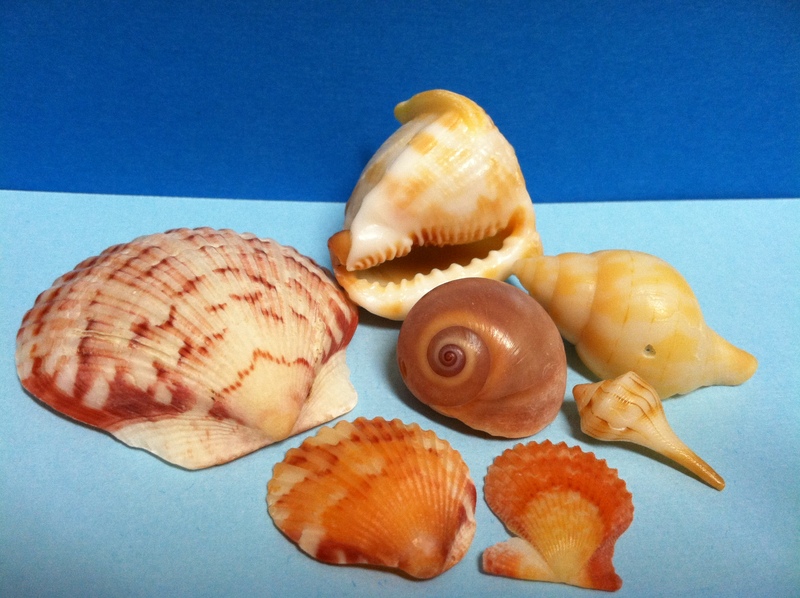 And a slew of jingle shells. Take a look at that dark brown one in the front! 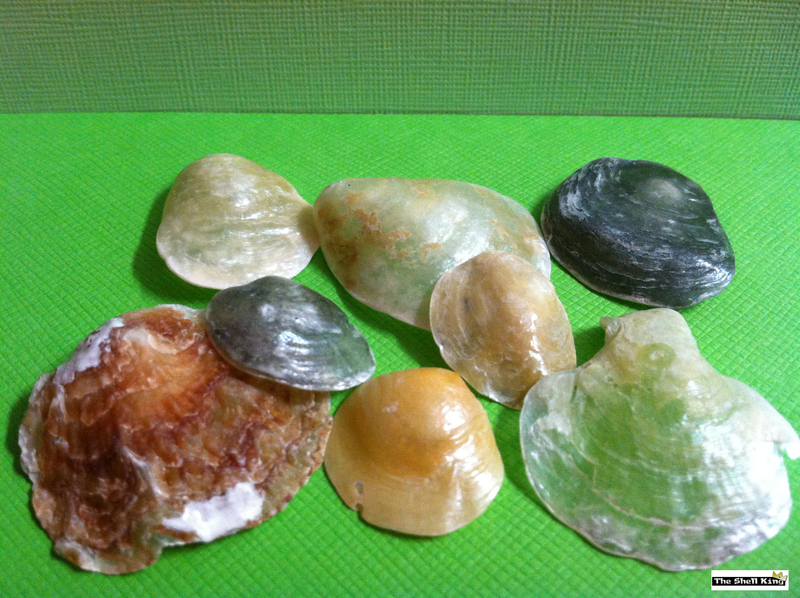 I continued my search for calico scallops and found a great variety in color. 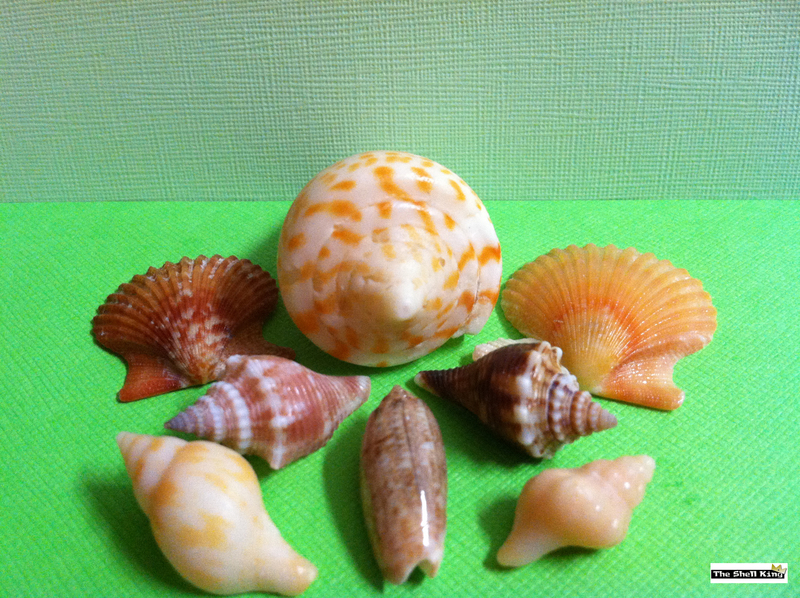 Take a look at a few of the nice shells we found. The color on those two juvenile fighting conchs took the Shell Queen’s breath away. And look at the shine on that mini olive. Wow. See you at Blind Pass for Thursday Thunder! Thursday Thunder came a day early this week due to a prior Shell Queen commitment, and when we arrived at Blind Pass there wasn’t much Thunder at all. There weren’t many folks out last night. Maybe around ten? The water was calm (and warm I might add). There weren’t the usual shell carpets rolling in with foot bruising shells. 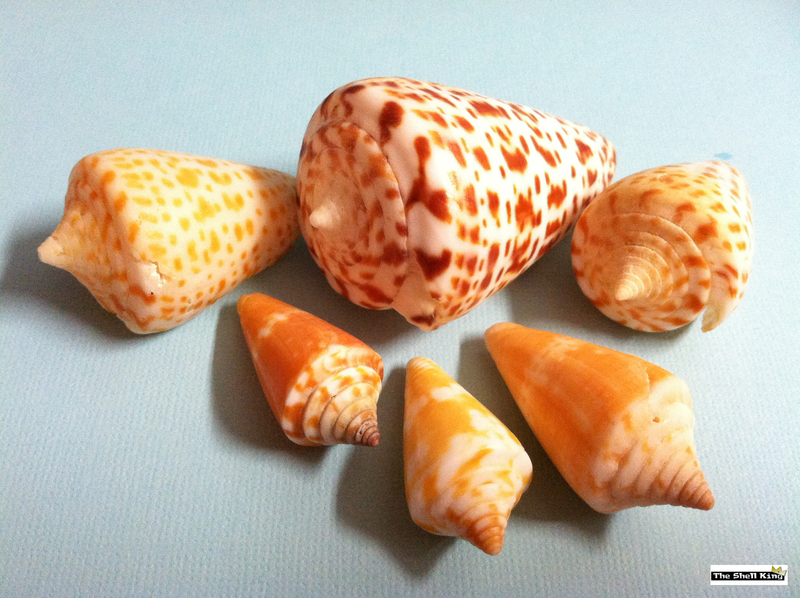 I know we shouldn’t be getting used to influx of shells lately, but we can’t help it. So the Shell Queen grabbed her bucket and walked along the shoreline while I grabbed the mask and dove in for a closer inspection. 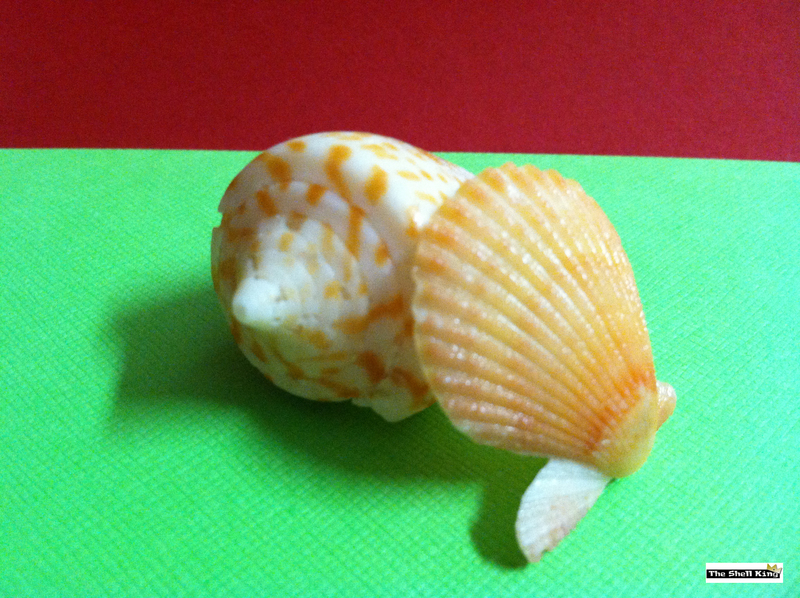 The Shell Queen and her Mother (who from here on out will be referred to as Queen Mother #1) have been spending more time making shell crafts – which will soon be available here at The Shell King – so I decided that I’d specifically look for some brightly colored scallops….and I found quite a few. About 15-18 feet from the shore line has been good luck for me, as most folks don’t tread out that far. I was able to dig up a couple of nice tulips, a few little whelks and quite a few of the scallops I’d been seeking. I think that’s a Queen Helmet. But it’s one of the strangest one’s I’ve seen. Ironic, isn’t it? I’m out looking for shells so the Shell Queen and Queen Mother #1 can continue crafting and I find a Queen Helmet? Hmmmm. 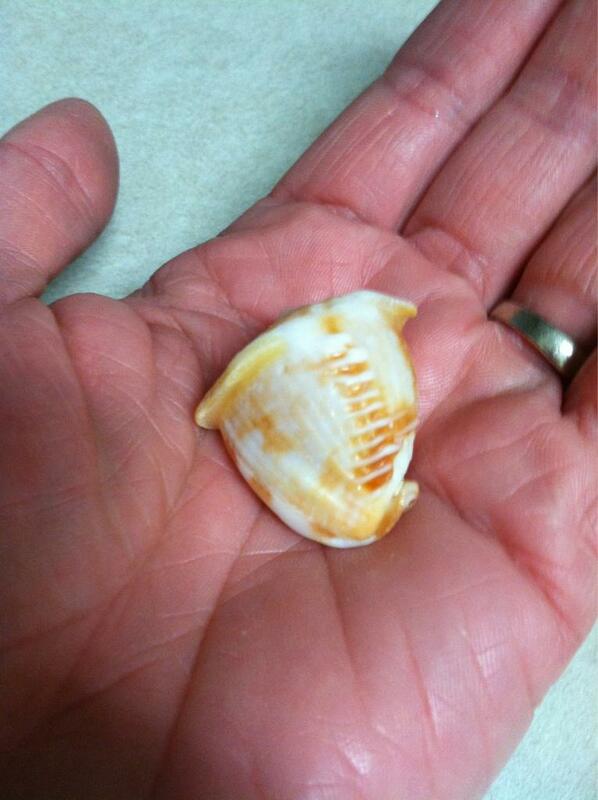 So all in all – a nice shell find for “Wednesday” Thunder. 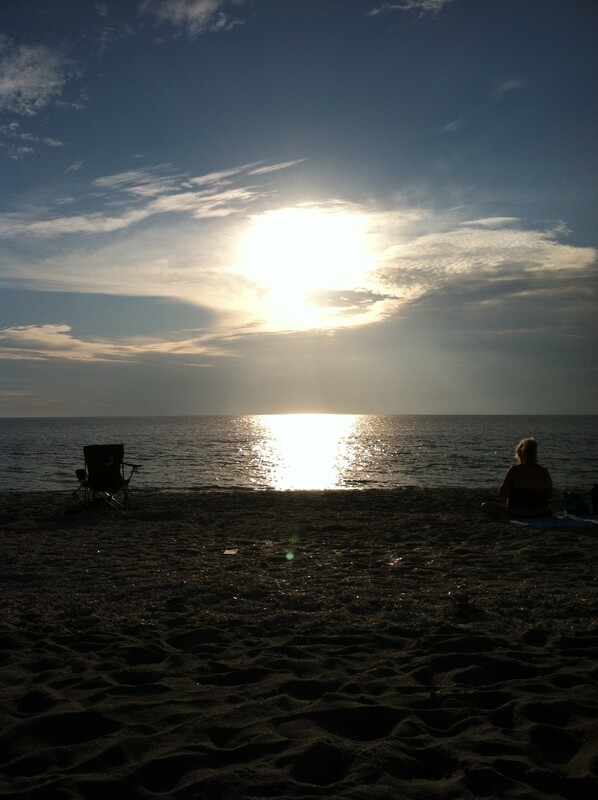 And for the finale, the beginning of a really nice sunset.